nice now with sun but this morning 50 and windy……too cold for me. North Dakota had the highest increase in suicide rates in the country (57%). I don’t think you’re the only one who’s tired of the seven-month winters. The dark days of December depress people. I make sure I get out in the sun (what little I see of it) in the winter. The only thing I’m voting for is REVOLUTION!!! 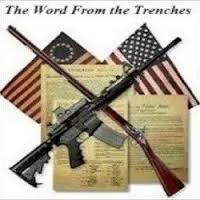 Between those of us that won’t vote, give up our guns, and file tax returns correctly, they need to replace us. I believe the income tax filings are putting a real hurt on them, it may be minuscule in the scheme of extortions, but they have to know the jig is up for 10’s of thousands out here. 2016, had to call irs so they could verify OUR identity, this was after filing correctly. C’mon, same ss# and name to match the # for yrs. & yrs., oh and same address. What’s up with that? Great broadcast, Henry, thank you! Admittedly, unless you are explicitly requesting your local Registrar to cancel your voter registration, the details get pretty murky with whether your registration has already been cancelled or not. It is probably best to contact the local Registrar and first ask if you are registered; if not, then ask if they would be able to deliver by mail a written notice to you of the cancellation, pursuant to Sec. 16.036 of the Texas Election Code. I don’t get it. Why was it simple for me to unregister yet complicated for others? Last month I unregistered. I posted about it somewhere in the comments section, twice. I just walked in to the County Office of Elections and said that I needed to unregister to vote. Sweet lady said, “Okay, fill this out.” Had to provide name, address and SS number. Took less than a minute. Asked when it would be made official and she said, “In about 10 days.” That was it. I’ll have to wait and see if any loose ends (tentacles) appear that I will have to deal with. I also understand that the procedure differs from state-to-state. Hoops for us, either way. Defy the hoop! As best we can, anyhow. ps: I was not asked to provide a reason for unregistering, but if I had been I wouldn’t have given an answer. It’s none of their business!! It is that easy, although some states perhaps require an explanation of which of course you don’t have to respond. I liked this persons explanation for removing them self from the voter rolls. Kindely remove my name from your list of voters and any list derived therefrom, and destroy all records of my voter registration. I no longer care to give government credibility with my vote or registration to vote. Hell, just rob a liquor store, your guaranteed never to vote again.